One of this week’s photo challenges is to show a photo that represents what “connection” means to you. 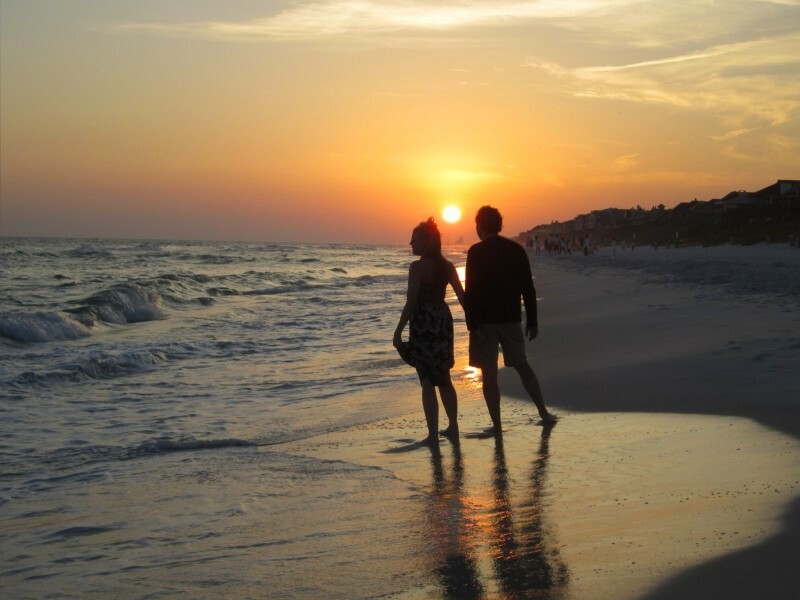 We took this in Rosemary beach last May, on one of our nightly sunset walks. To me, it shows the connection between sky, land and water, the connection between light and dark and of course, the connection between me and my husband. This entry was posted in Family, NaBloPoMo and tagged nablopomo, nano poblano, weekly photo challenge. Bookmark the permalink. To me it shows my ‘daughter’ and my son loving each other very much indeed!! You are the best Mom-in-law ever, Linda. I can’t tell you how much your support means to me. Love you!